I love this girl & can't believe how quickly time is flying by! happy birthday to your baby girl!!!! 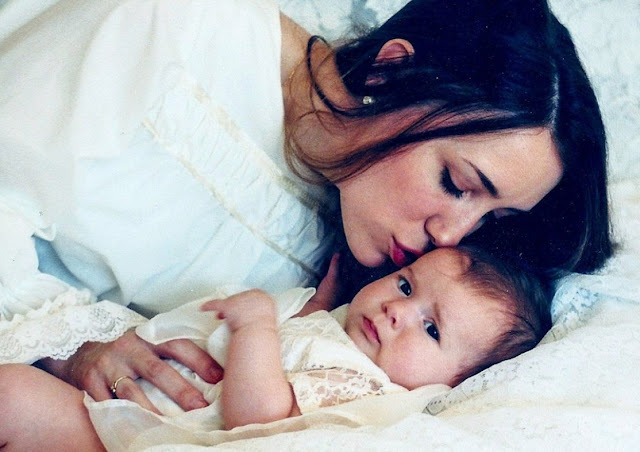 Aww... that is the sweetest mama and baby photo, Amy! Beautiful. Happy Birthday to your baby girl!! "Wow, that carnival sure looks like fun." "Maybe we can go to a carnival one day." "Maybe we should go to that carnival today." Lol, it would always crack Dan and I up!!! Can't believe she's 14. Blows. My. Mind. Happy Birthday to your girl! Such a beautiful photo of the two of you! "Here's a picture of your drums." "That's me playing your drums." "Maybe I could play your drums." Lolololol!!! Those were the days!!! It's so funny, she said something suggestive like that everyday!!! Love this picture of her as a baby. just beautiful! AND I must have the recipe to that crockpot dessert!